This was going to be a regular blog post, rather than a page in its own right, but Luther deserves his own special spot and is too precious to be lost among his silly little brother’s batshit-crazy antics. 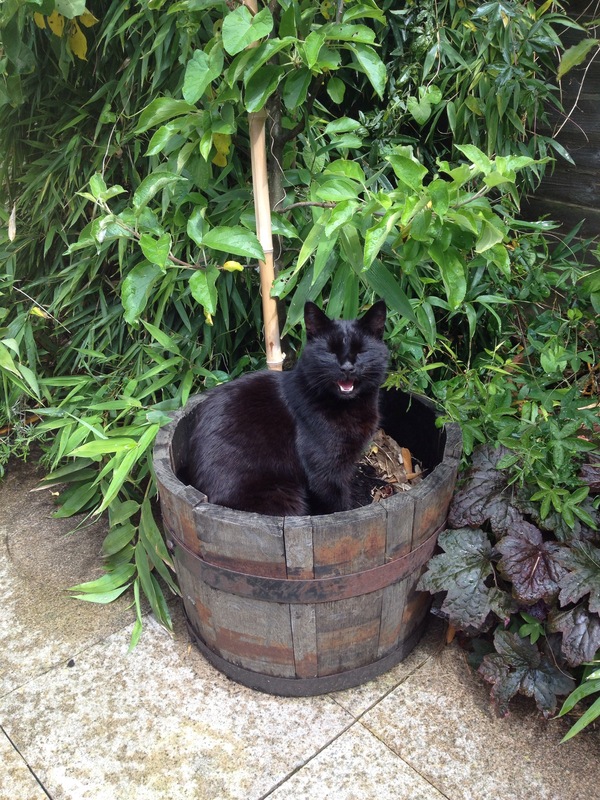 He may no longer be with us, but the internet needs to hear about him! After choosing Luther, we read his profile at the rescue centre. (Yes, we probably should have done these things the other way around.) “Will bring mice and birds. Very intelligent: can open doors.” Yikes. Cat Daddy thought all this sounded “fun”, and I can’t deny that Luther did give us a lot of fun in the short time he was with us (apart from the terrifying “Curious Incident of the Seven Mice in the Night Time”, of which 3 were brought simultaneously and most were still alive), but you really need to be prepared to train a cat like this. After an intensive weekend of constantly prising him off my dinner plate and saying “No!” about 758 times, Luther got the message. He went from being a cat so obsessed with food that he would actually leave his dinner to clamber over anyone else who was eating (on the off-chance that they might have better food) to a cat who would sit on my lap as I ate (not a habit Cat Daddy approved of) without lunging for the plate. Unless I was eating prawns, that is. 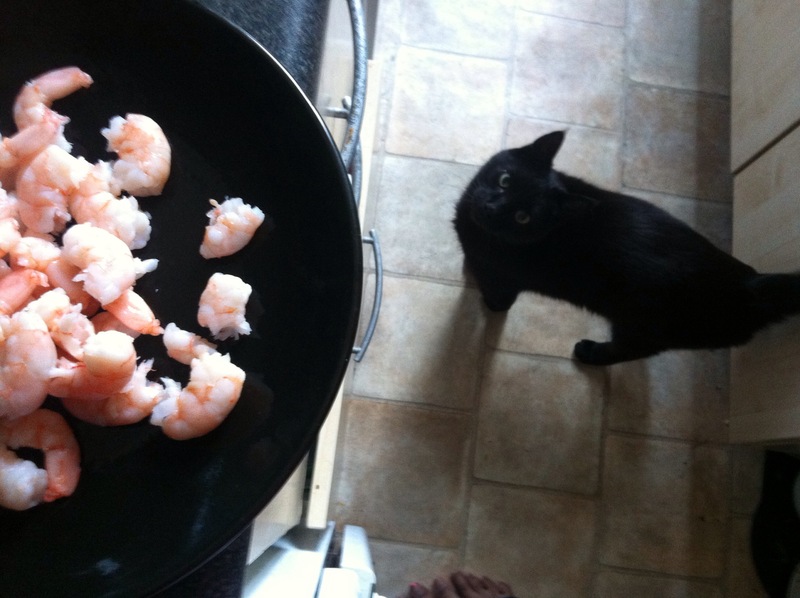 But that wasn’t naughtiness: that was just because he really, REALLY liked prawns. Despite how nuts this may sound, I know that Luther can hear me. 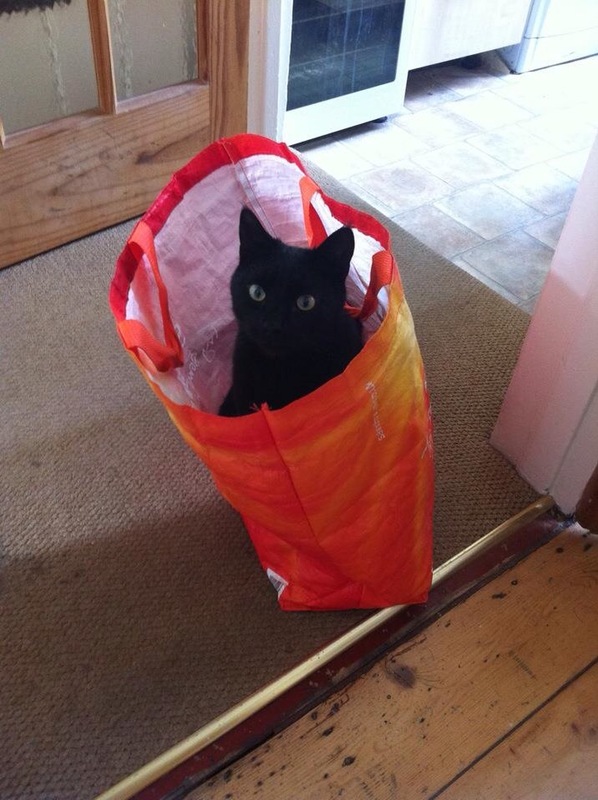 For months after he died, whenever I was walking down the street – any street – feeling sad, he would send me a cat to cheer me up. Every time. 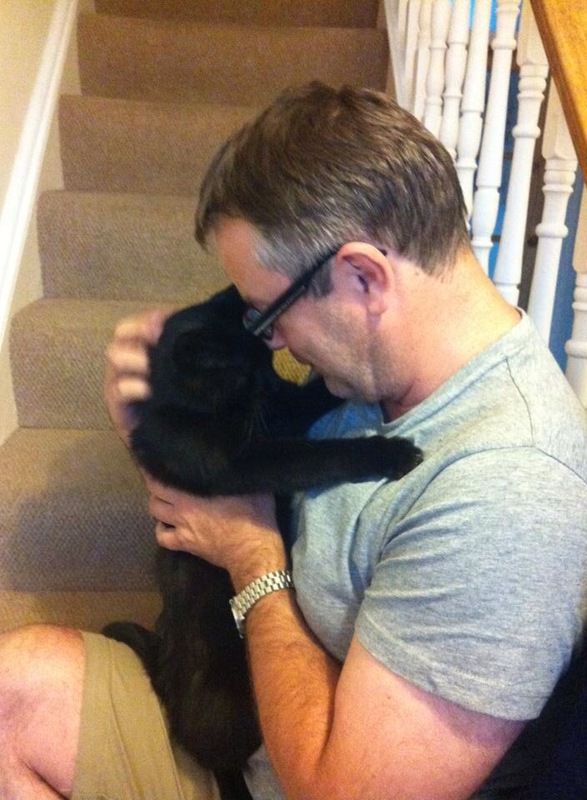 On one occasion I told him, “I wish I could see you just one more time” and, seconds later, a cobweb-covered Lutherlike black cat appeared from around the corner. 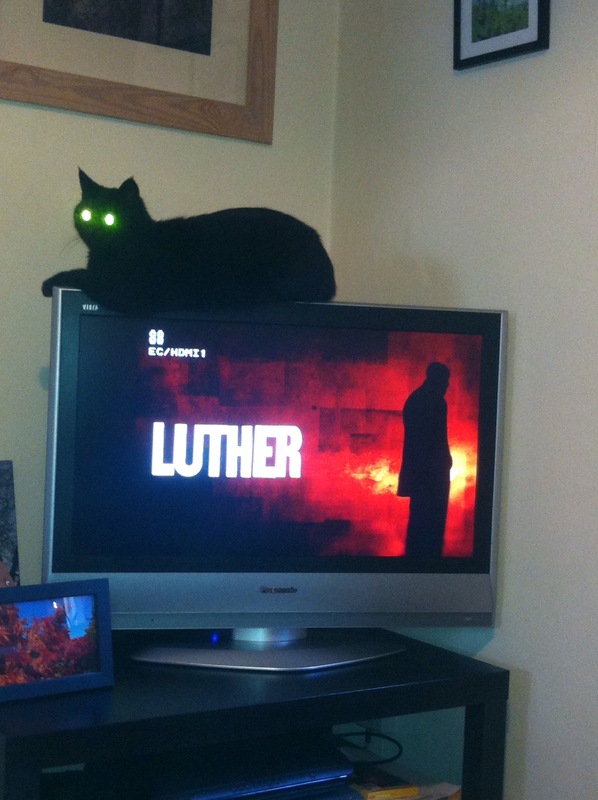 (Cobwebs were Luther’s “thing” – he often had them adorning his body, and would go around the house and garden eating them, which was disgusting but useful.) 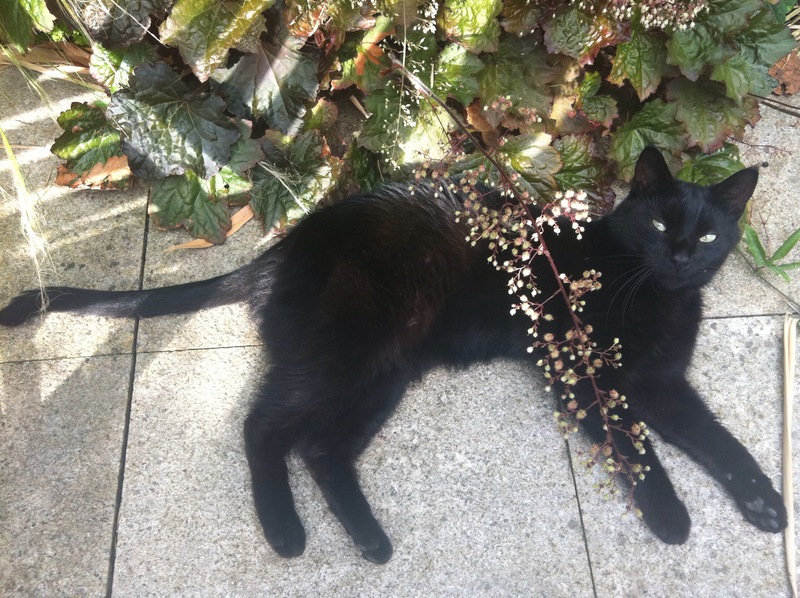 Another time, he sent his usually-horrid nemesis, Celebration Cat, to cheer me up; he charged at me from all the way down the street and almost knocked me over, such was his urge to nuzzle me, after which he walked me home, leading the way and walking up to my front door ahead of me. HOW DID HE KNOW WHERE I LIVED? Louis Catorze also seems to gradually take on Lutheran characteristics: he’s developed a new-found fear of mineral water bottles which he didn’t have before, for instance, and, as time passes, they are harder to tell apart in photos. And, when I chat to Luther and ask him to give his little brother a kick up the arse, Louis Catorze will immediately stop doing the thing that’s been annoying me and start behaving himself (although, in true Lutheran style, not for very long). Luther was such an unforgettable cat, and we were so lucky to have had 2 years, 2 months and 10 days with him. I truly feel that he looks out for Louis Catorze – although I’d love to know where the heck he was on Monday, when we really needed emergency assistance – and I hope he will continue to do so for as long as he can. There is something salty in my eyes …. So Beautiful!! Thank you! 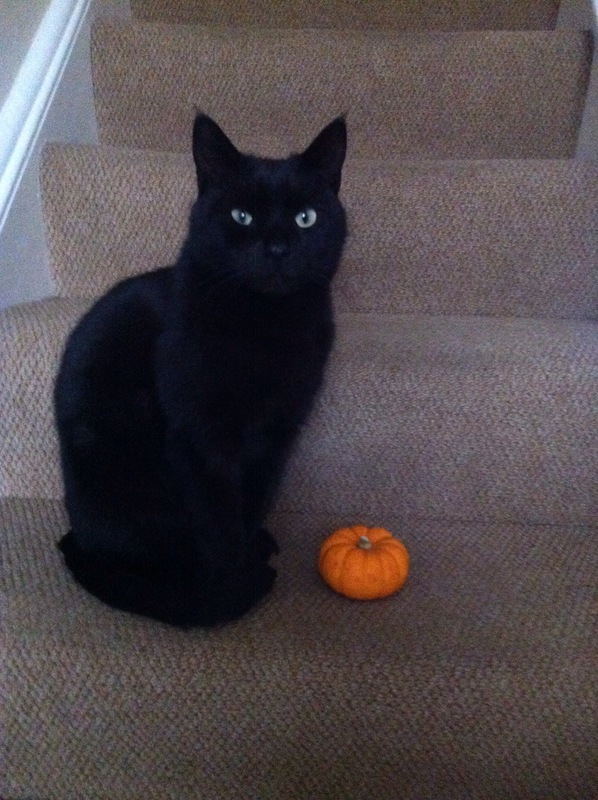 He was such a lovely boy, and he made me realise that black cats were my “thing”. My dear, sweet, gross Lulu. He certainly was one of a kind. Thank you! I still miss him. Was looking through your blog in case I’d missed any entries…..and here it was. I never read about Luther before. 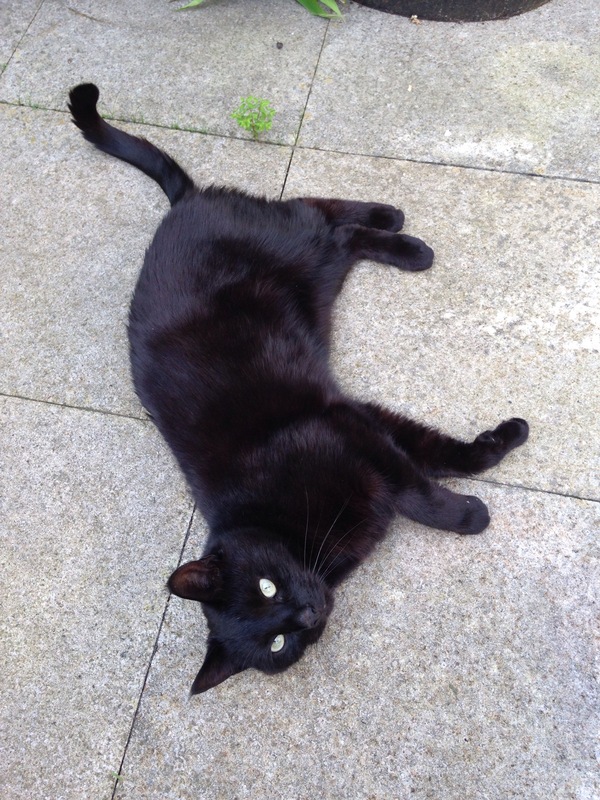 And that thing about eating cobwebs…..it’s a Maya thing too. Every morning she feasts on one which must be built overnight!. Lovely story.